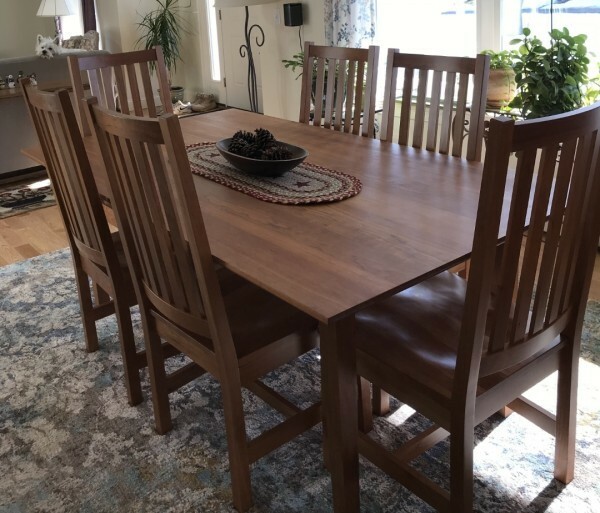 Cherry Horizon 42" X 78" fixed dining table with arched aprons, Horizon top, and Horizon legs; shown with cherry Manhattan chairs. 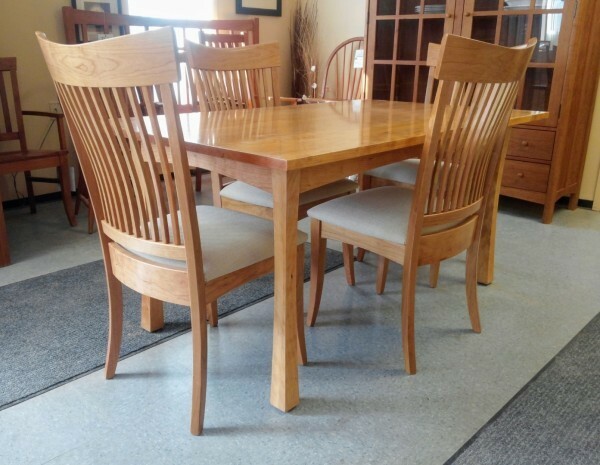 Cherry fixed dining table sized 36" x 60", arched aprons, Horizon legs, poly top. 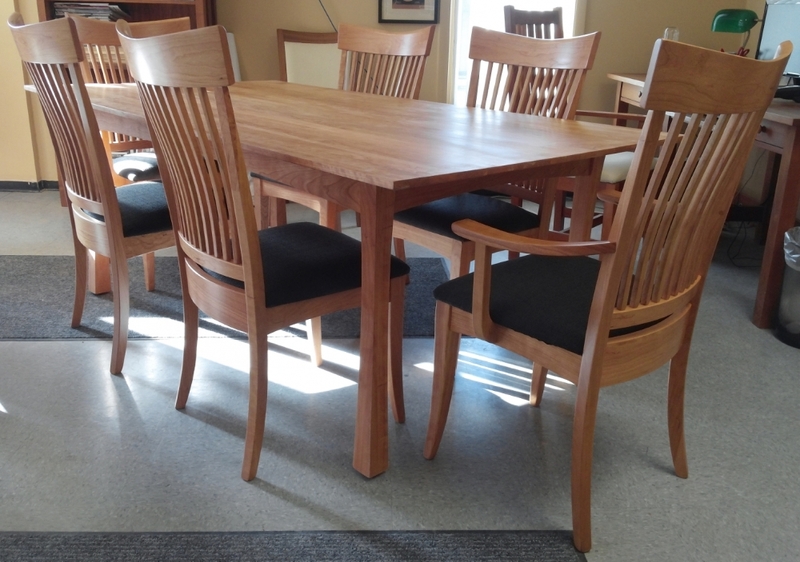 Shown with cherry Manhattan side chairs. Cherry Mission 36" x 60" fixed dining table with straight aprons, 1" Mission top, and Heartwood legs. 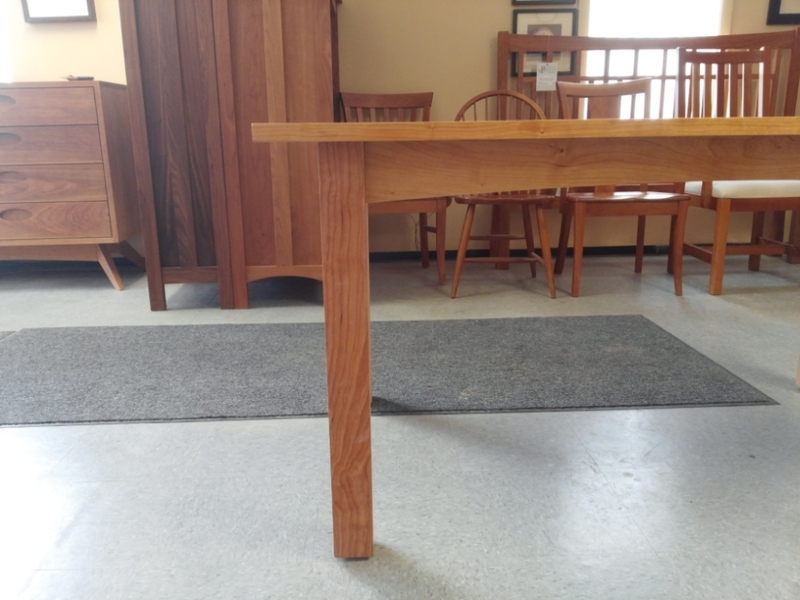 Cherry Hart fixed top table. 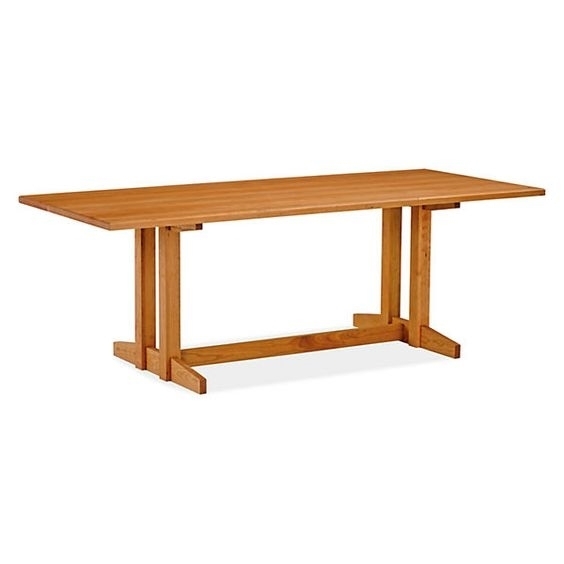 The classic trestle base mimics traditional Shaker design and maximizes seating. 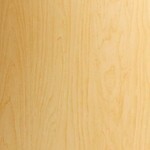 Can be built in many sizes; all sizes feature a 15" overhang on ends, with 12" overhang on sides. Walnut Hart fixed top table. The classic trestle base mimics traditional Shaker design and maximizes seating. 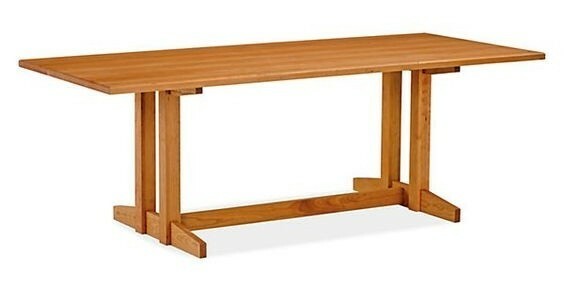 Can be built in many sizes; all sizes feature a 15" overhang on ends, with 12" overhang on sides. Cherry Heartwood 42" x 78" fixed dining table. 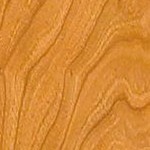 Maple Heartwood 42" x 78" fixed dining table. 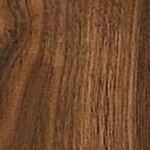 Walnut Heartwood 42" x 78" fixed dining table. 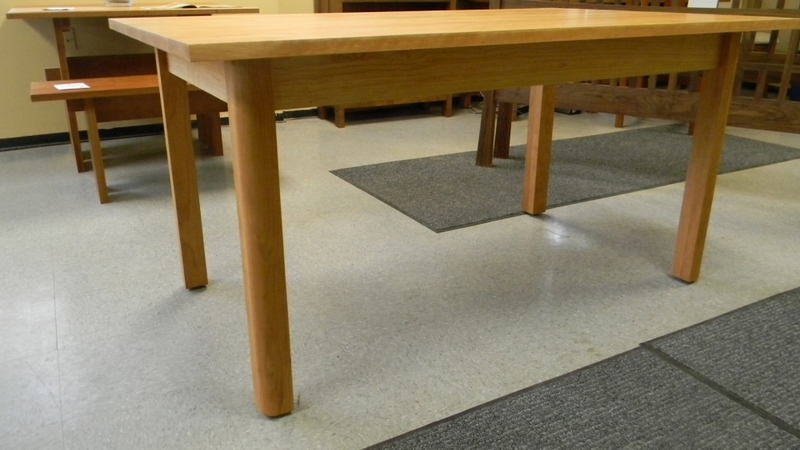 Cherry Mission fixed top dining table, shown with 1" Mission top, arched aprons, and 2.5" square legs. 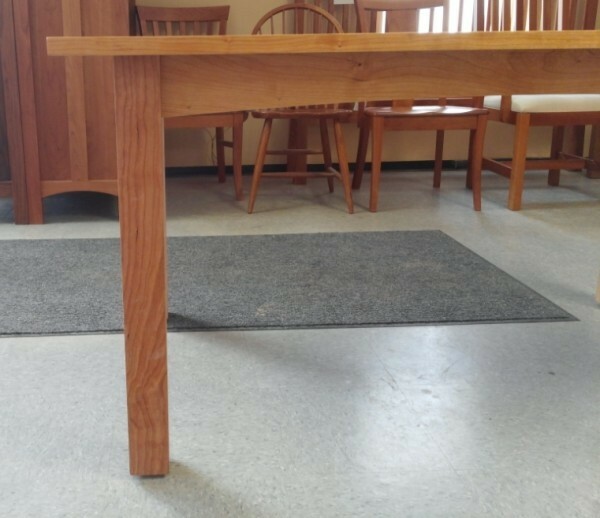 Customer submitted photo of their beautifully aged cherry table and chairs. 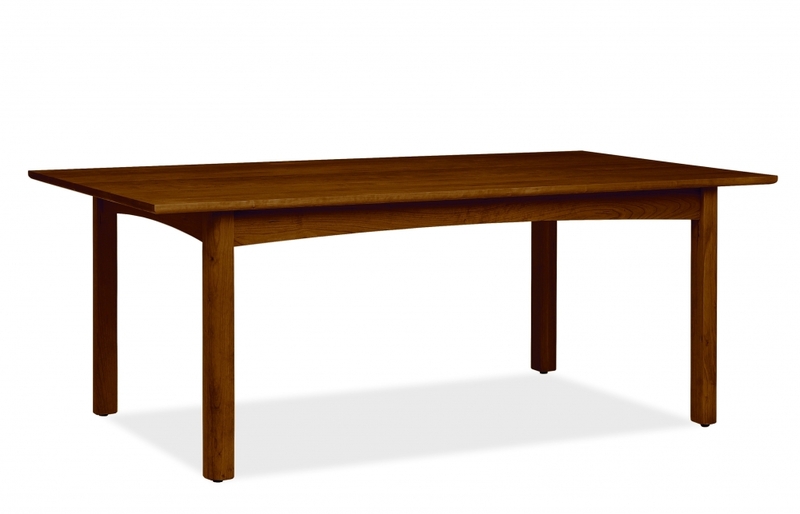 It is a 42" x 78" fixed dining table with arched aprons and 2-1/2" tapered leg. The table is flanked by cherry Mission side chairs.